Always, always keep writing. Photo by Barry Silver (Creative Commons). Being a writer isn’t easy. When you write personal essays, you live your life naked — everything is poured out onto the page. Your biggest dreams, your deepest fears; the best parts of your personality, and the darkest corners of it. It’s already difficult living as a writer in the world. But being a trans woman, even more so. That’s not because my identity is front-page news. It’s not because I’ve dealt with discrimination. It’s the fact of what it means to live as a trans woman. It’s the way you carry yourself and the clothing you wear. It’s the late night drinking sessions and the summer picnics in the park. It’s the body heat of another trans girl cuddling against you, it’s your first time sleeping with another person as a woman. It’s the sum of every single experience you’ve had, that your sisters have had, and that your forbearers have passed on. It’s to live and love and—one day—die in a world that is uniquely your own, that the outside world simply doesn’t understand. How can I put all of those stories into words while doing them justice? As the dog days of summer march on, these are the things I think about when I sit down to write. Why? Because I have to. Because I am driven to. Because I have a burning desire to talk about the ways we live alongside one another in this world. Because life would be brutal without each other. When I took my first creative writing class in college, I was surrounded by cisgender writers. Sadly, that’s been the reality throughout my writing career. Whether as a journalist or a fiction writer, a personal essayist or a cultural critic, it’s been hard for me to find a space created by and for trans women writers. That is, until this August. Earlier this summer, I was invited to attend Topside Press’s first-ever Trans Women’s Writing Workshop. 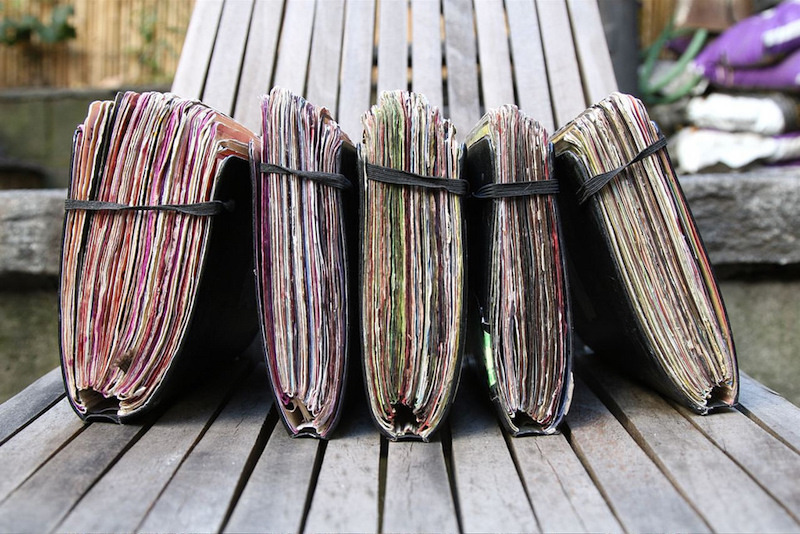 The workshop will be hosted at Brooklyn College from August 15–19th and will bring together 26 trans women writing and publishing around the world. As the organizers note, this is an extremely rare kind of space: “Nearly every story you’ve ever read about a trans woman was written by a cis person. The world needs more stories written by trans women about ourselves.” Topside Press itself is a small publishing house founded in 2011 with the goal of publishing “authentic transgender narratives.” Since then, they have published 12 books, helping reshape the literary landscape to include more trans voices. Taught by Sarah Schulman and Casey Plett, the Workshop will help us fine-tune our skills as trans women storytellers. In order to help support the event, Topside is hosting a Universal Access fundraiser for tuition, travel, and housing accommodations. And in support of the Workshop, many of us are also writing essays about why we write as trans women. The Workshop is something that’s very near to my heart. As trans women, it’s hard for us to meet one another. Many of us live isolated from each other. Even if a bustling community is just at our doorstep, financial needs drive a wedge between us. Train fare, bus money, MetroCards, food and drinks — the expenses pile up, and for some of us, our income just doesn’t cut it. We have to make sacrifices just to get by. But Topside Press is putting forward something different. They’re creating an event that promises to bring us together as not just trans women, but trans women writers. I started writing because my teachers said I wrote good papers. I wrote some articles for my high school’s newspaper, one thing led to another, and I started getting published. First in local papers, then online ones. It felt nice, but I didn’t actually have a driving force behind any of my writing back. 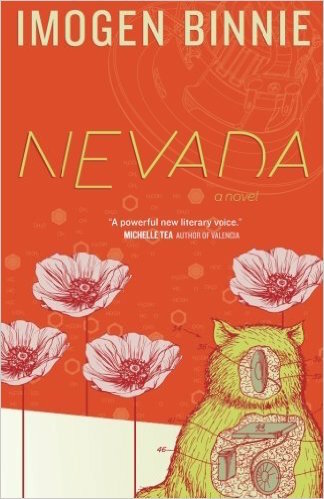 But then a few years ago, a friend of mine suggested I should read a weird little book called Nevada by Imogen Binnie. Binnie was a totally unknown author to me at the time—and Nevada was a title that I would repeatedly confuse with Bruce Springsteen’s 1982 album Nebraska for awhile. But when I finally took the time to sit down and read Nevada, I was inspired. Binnie’s novel followed a trans girl named Maria Griffiths in her late 20s, living her life in New York City and, due to a series of stressful events, taking a road trip to Nevada. Along the way, she thinks about everything from monster movies to helping people who have yet to transition. Nevada’s history is just as fascinating as the story it tells. Originally, Binnie submitted the novel to Soft Skull and faced a rejection letter. In response, she considered shelving the novel. But Topside Press published some of her work in anthology collection aptly titled The Collection, the publisher proceeded to help Binnie revise her story. One thing led to another, and one of the most prominent works of the current trans literary renaissance was born. But if it wasn’t for Topside, we never would have gotten the chance to read Binnie’s story. It would’ve stayed on her computer as just another rejected novel draft. I’ll admit, I didn’t connect with Nevada right away. It took a bit of time to get into Binnie’s world. But as I continued to transition, Nevada stuck with me. Maria went through many of the problems that I did: impulsively living her life, crashing at friends’ houses, struggling with finding work, neglecting her emotions, and constantly thinking back about her past. I was inspired to read more books from Topside after Nevada. I picked up The Collection at my school’s library and began reading through it. 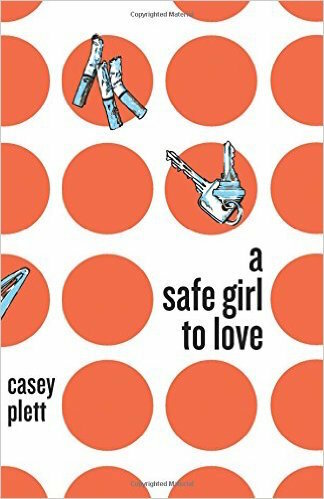 And then I found my favorite work of trans literature to date, Casey Plett’s 2014 short story publication A Safe Girl to Love. A Safe Girl to Love came at just the right time in my transitioning. Plett’s stories reminded me of the problems I constantly ran into in coming out to people from my past, and in living on my own away from any sense of family or community during the first year of my transitioning. During the darker months of spring and summer, Plett’s stories got me through. Fiction is a magical genre for that reason. It allows authors to become a creator in a way that other forms of writing simply do not. A writer gives birth to worlds, friends, lovers, and hardships in a contained narrative. They tell stories of struggles, and the ways in which people overcome them (or fail to, for that matter). As I began to write fiction, I learned that fiction allowed me to work through feelings that I was dealing with throughout my transitioning. One story I wrote featured two trans women in graduate school dating each other. They both had a lot of baggage from dealing with their parents, and they dealt with those feelings by obsessively listening to Springsteen. Another was about an alien anthropologist coming down to Earth and learning about life in New York City from a trans woman writing about space travel. Both of those stories were opportunities for me to sort out problems I was dealing with in my own life: the former, my experiences with my own family; the latter, my own interest in space as a coping mechanism for transness. That’s one of the reasons why writing is such a powerful thing to me. As trans women, we can use the written word as a form of catharsis. We can work through our own fears and come to terms with our past. Stories become a way to speak to what our subconscious bars us from thinking about. Writing is our therapy. What Topside Press is doing is building a bridge for us. 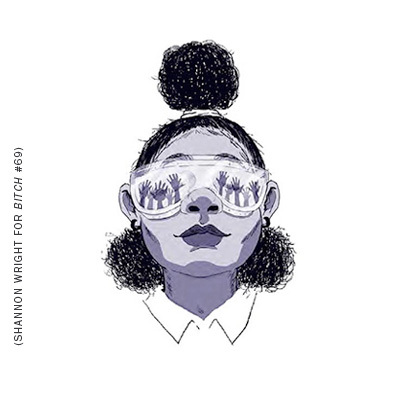 It’s giving us the opportunity to not just connect with other trans women, but to read and share each other’s work. The Workshop gets 26 trans women together to pour themselves out onto a piece of paper — with all their hopes, dreams, and fears on the table. That’s not just simply generous. That’s magical. Earlier this summer, fellow workshop participant Zoey Anne Wolfe wrote an essay about her own experiences with reading and writing as a trans woman. She spoke to her dedication to the Workshop, and why it’s so important to her. I think Wolfe’s essay speaks for all of us when she says that. We want to write, tell, and share stories. We want to share our lives with the outside world, and create a shining light for trans women readers and writers across the world. Even in the darkest moments of my life, I never forget that. To write is to be able to share, and that’s something one should never, ever take for granted in their life. For more information about the Topside Press Trans Women’s Writing Workshop, check out the official Workshop website. Donations can be sent through the Universal Access Fund page.